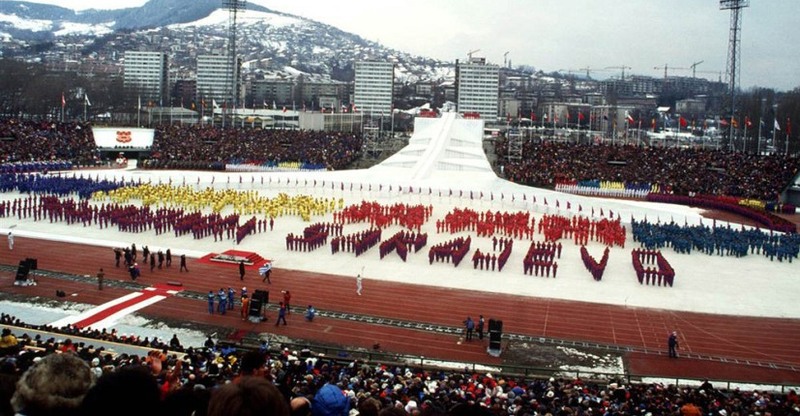 The Winter Olympic Games were open 34 years ago in Sarajevo, and Ahmed Karabegovic, the Secretary General of ZOI 84 ‘and Branko Bacanovic Bambi, who worked on the redesign of the logo of the Olympics, recalled those great moments. “All the preparations were brought to perfection, but there was a fear – whether everything will be okay. On February 8, Sarajevo was under a white snow cover and the weather was sunny. The program went well, and the moment when the flag was raised, we felt a great relief,” said Karabegovic. Karabegovic noted that the Olympics in Sarajevo was specific because the athletes of the USSR and the US were on one place, for the very first time. “Those were the games with the largest number of participant countries, with the largest interest of the media, with the largest number of guests, and those were all the elements that put the Sarajevo Olympics to a pedestal,” said Karabegovic. The cost of the Winter Olympic Games in Sarajevo amounted to 142 million USD. A total of 82 % were funds provided through marketing activities, 18 % was financed by municipalities, the state budget, and they noted that no other funds were involved. A total of 2,500 people were engaged in the technical aspect of the organization in Sarajevo, a total of 7,825 journalists followed the event for 11 days, 67 TV houses reported on events, 514 hours of TV programs dedicated to the Olympic Games in Sarajevo were realized. “Sarajevo lived intensively then, from one day to another. Besides athletes and attendees, there was also a significant number of royals and great artists. The royal names of Sweden, Norway, Holland, Belgium, Princess Anna, Kirk Doglas and many others were present. Sarajevo was also remembered by their visit,” said Karabegovic. Next articlePrime Minister Cvijanovic spoke with IMF Chief of Mission for BiH, Nadeem Ilahi in Washington D.C.